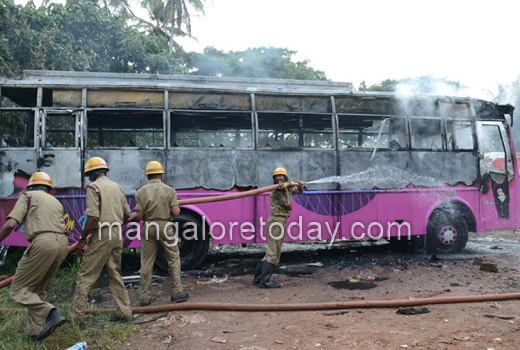 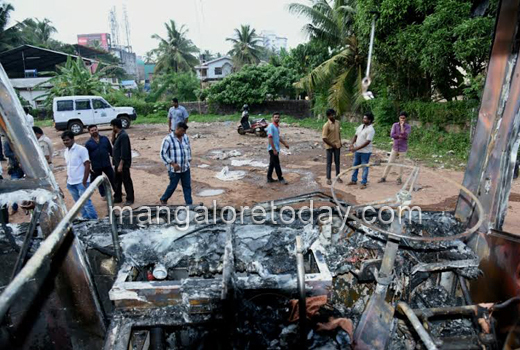 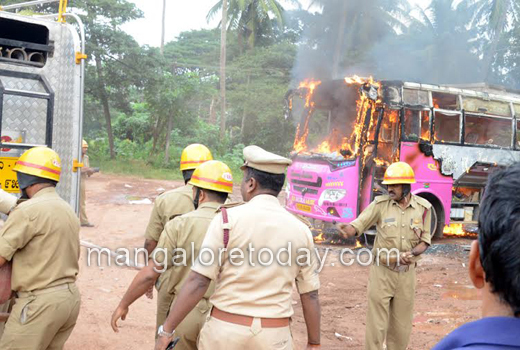 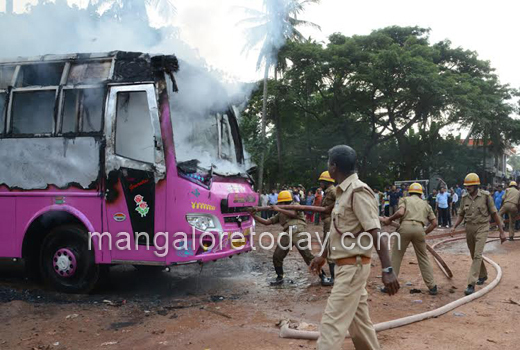 Mangaluru, Dec 09, 2015: A new tourist bus belonging to Jain Travels which was parked near the petrol bunk at Ujjodi caught fire accidentally on December 8, Tuesday evening. 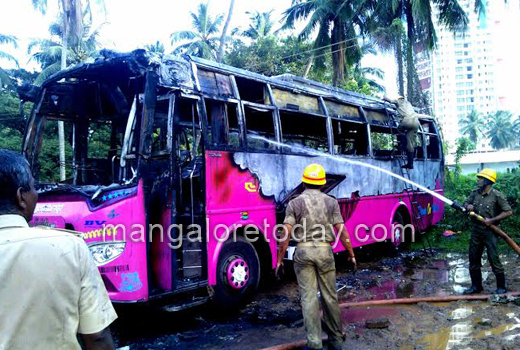 Though the fire tender vehicles from Pandeshwar managed to put out the fire, by then it had caused sufficient damage to the bus. 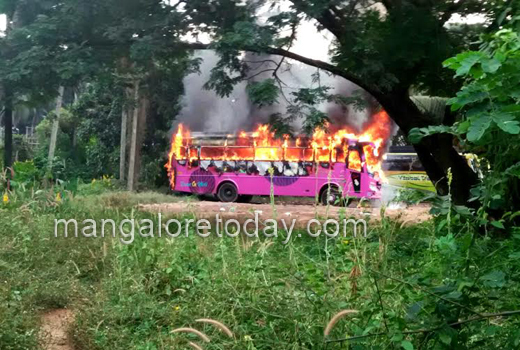 The bus driver was away to appear for a court case while the fire was noticed some time after the cleaner showed the bus to a prospective buyer. 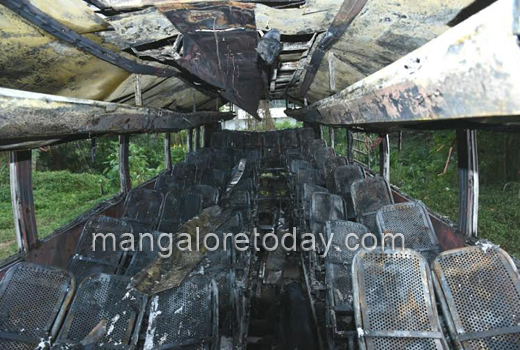 It has been gathered that he had turned on the different switches in the bus when the prospective buyer was inspecting the bus and had forgotten to turn it off. 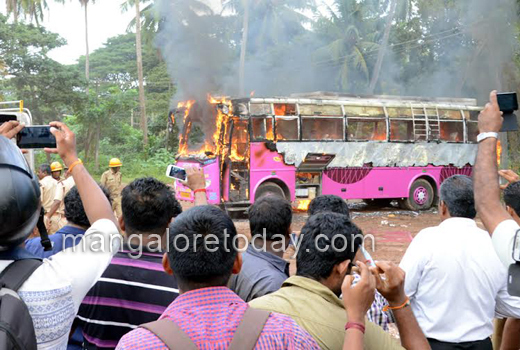 The cleaner who was panicky on seeing the bus on fire is said to be absconding. 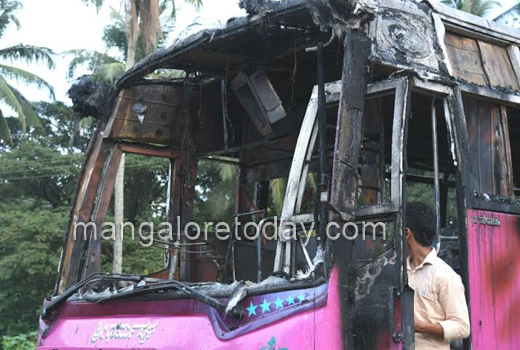 The suspicion is that a short circuit had led to the fire. 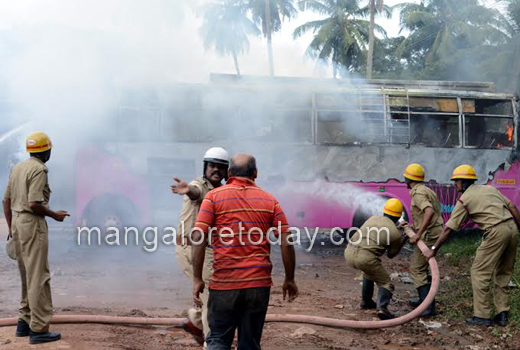 Looks Fishy?Why is the cleaner absconding?